Communications minister Nomvula Mokonyane, appointed to the portfolio by President Cyril Ramaphosa in February, has promised to announce plans soon to kick-start South Africa’s stalled and long-delayed digital terrestrial television migration project. She provided little detail, but said the plans will include setting up an “advisory team to bring in know-how and expertise in this area”. Government will consider public-private partnerships to “expedite migration through cost-effective and efficient means”. Her promises aren’t likely to be met with much enthusiasm in the sector given the number of deadlines that have already been missed in the TV migration project. South Africa is already three years past a deadline government agreed to with the International Telecommunication Union, an agency of the United Nations, to complete the project. Government’s failure to conclude the project is having a negative impact on South Africa’s mobile operators, which need access to the spectrum that analogue broadcasters are using in order to expand wireless broadband coverage. Former communications minister Ivy Matsepe-Casaburri set an original deadline of 2011 to complete the project. Since then, deadline after deadline has been missed as government and industry squabbled over technical standards and encryption of government-subsidised set-top boxes. 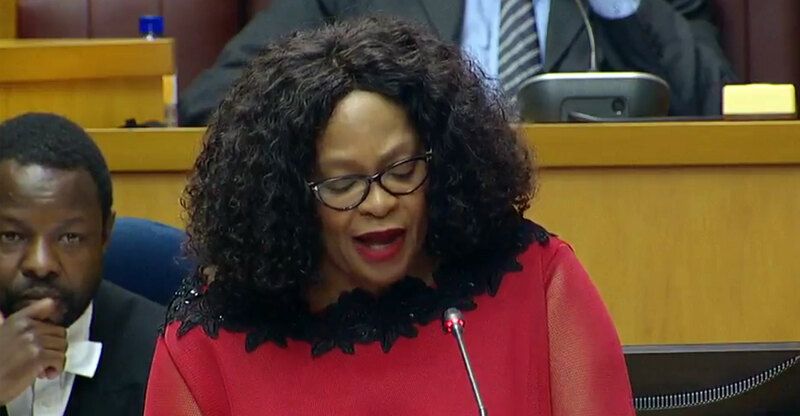 “More than 10 years since cabinet approved the policy, we have yet to move our broadcasting system to digital,” Mokonyane told MPs on Thursday. She said the migration project requires an “inclusive and empowering approach” that “must help us invest in new skills for the future”. Van Damme, the DA’s spokeswoman on communications, said it is “quite clear that another year will roll on by and South Africa will not migrate to digital television”.